The Lakers and Clippers share an arena in Los Angeles, which - as everyone understands it - means the Clippers play in the Lakers' arena. That doesn't sit well with Clippers owner Steve Ballmer. So, he wants to get a new arena built just for the Clippers in Inglewood. And cost, legal red tape and lawsuits aren't going to stop him. 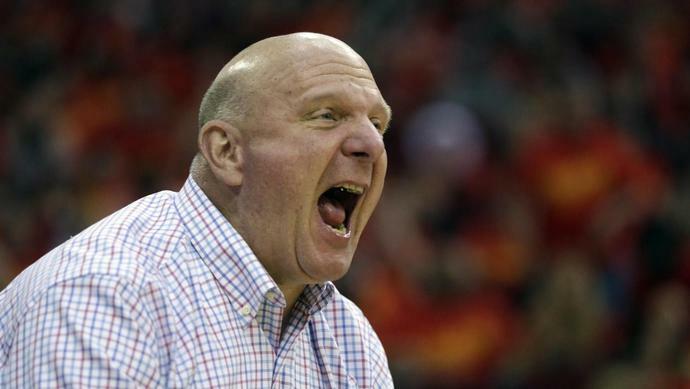 Ballmer is probably used to getting what he wants. I doubt he backs down here. It should be noted some of the legal and public relations push back on the plans comes from funding via the Madison Square Garden group (owned by Knicks' owner James Dolan), which five years ago sank $100 million into the Lakers' old home the Forum to refurbish it into a major concert venue. The new Clippers building would be just a couple blocks away from the Forum. This also at least partially explains why the Clippers insist on remaining competitive. Local politicians are less likely to greenlight a new arena for a tanking team. Well, at least someone was inspired by Game 2 between the Warriors and Clippers.